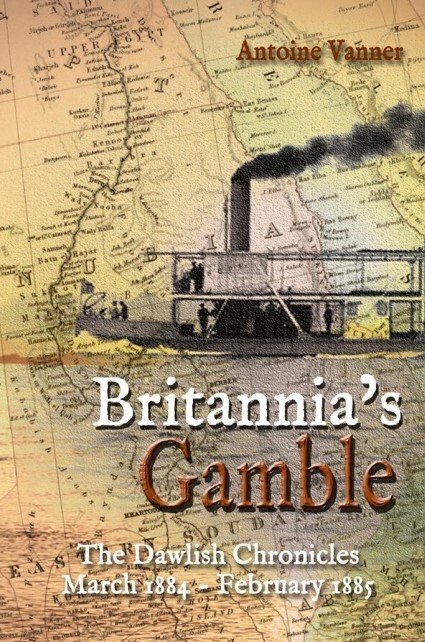 In January 1915 the First World War at sea was ramping up as the German submarine and mine technology began to take an ever increasing toll on British naval and merchant shipping. The vast majority of the losses sustained are wholly forgotten today, except by the families of those who lost forebears and kinsfolk through this vicious form of warfare. Unknown as such cases may now be, the number of causalities in single sinkings still have the power to shock. One such loss with all hands was of the armed merchant cruiser HMS Viknor. 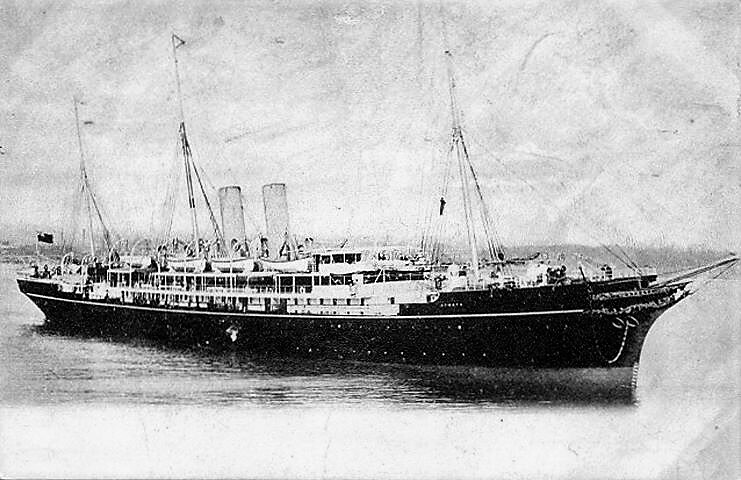 She had been built as long before as 1888 as a passenger liner, the Atrato, for use on routes between Britain and the West Indies. Capable of carrying 279 passengers, and 421 ft long and 5,347 tons, she was distinctly yacht-like in appearance due to her clipper bow and smartly raked masts and funnels. Sadly underpowered at 1000 hp, her single screw driving her at no more than 14 knots, she must nevertheless have looked a splendid sight on the blue waters of the Caribbean. In 1912 she was renamed as the Viking by new owners and was used for cruising, an activity for which speed was not an essential. Thoroughly obsolete in 1914, not to mention slow, it is therefore surprising that she should have been requisitioned by the British Admiralty service on the outbreak of war in 1914. Now named HMS Viknor, she was armed as a “merchant cruiser” and allocated to the Royal Navy’s 10th Cruiser Squadron which was tasked with patrolling between Iceland and Northern Scotland. Minimally armed, these merchant cruisers were not expected to meet enemy warships and their main purpose was to intercept neutral shipping for inspection to detect war contraband destined for Germany. Considering that during the winter months the ships on this station were likely to encounter some of the worst sea conditions in the world, it is surprising that an old underpowered vessel like the Viknor was ever chosen for such duty. During the first weeks of 1915 the Viknor was on patrol off the North West coast of Ireland. She appears to have been in radio contact but she was to disappear in heavy weather on January 13th, close to Tory Island, off the coast of Donegal, without sending a distress signal. She took with her the entire 291-man crew, as well as a German national who had been taken off a ship the neutral Norwegian vessel Bergensfjord, under suspicion of being a secret agent, as well as six other men who have been cryptically referred to as “stowaways”. Some wreckage and many corpses were subsequently washed up on the Irish and Scottish coasts. Though the exact cause of the Viknor’s loss cannot be established with certainty, it is possible that she struck a German mine. This could possibly have been one of the 200 laid in the same general area by the German auxiliary cruiser Berlin, one of which had sunk the British super-dreadnought HMS Audacious on October 27th 1914. 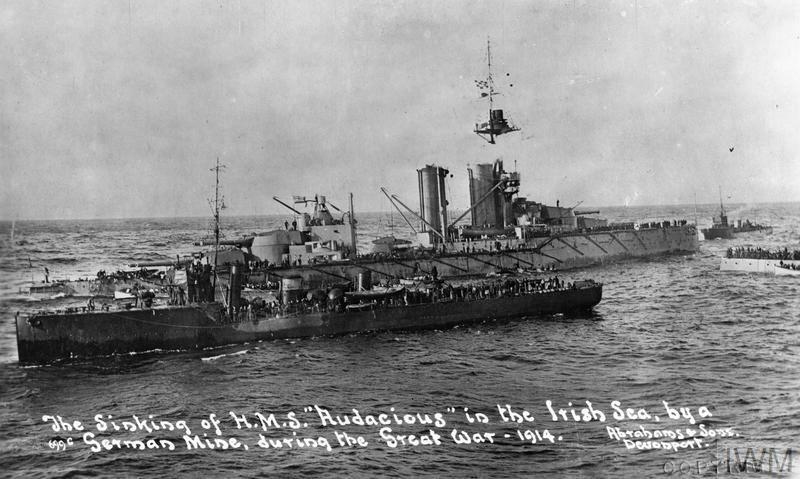 Completed only in 1913, the 25,000-ton Audacious, with a main armament of en 13.5-in guns, was one of the most powerful battleships afloat and her loss to a single mine was a severe shock to the British Admiralty as regards underwater vulnerability of even its most modern ships. 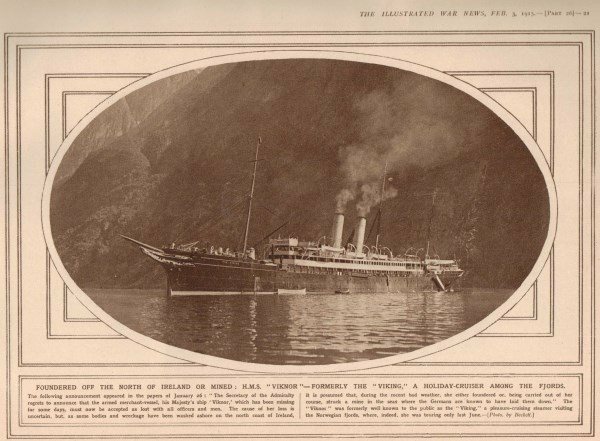 The sinking of the Audacious was witnessed by thousands of passengers on the liner SMS Olympic (sister of the ill-fated Titanic) which participated in rescue of the crew before Audacious sank, blowing up in the process. Had a U-Boat been responsible for the sinking, rather then a mine, there might have been a Lusitania-scale tragedy if the liner too had been attacked. In terms of value for money for the German Navy, the sinking of the Audacious by a single mine dropped by a converted merchant vessel must have ranked for one of the best bargains in naval history. The Viknor’s wreck was found by the Irish survey vessel Celtic Explorer in 2006 but the reason for her loss could still not be identified with absolute certainty. The Berlin was herself a converted passenger vessel, but modern, dating from 1908 and used until 1914 on the Genoa to New York route. 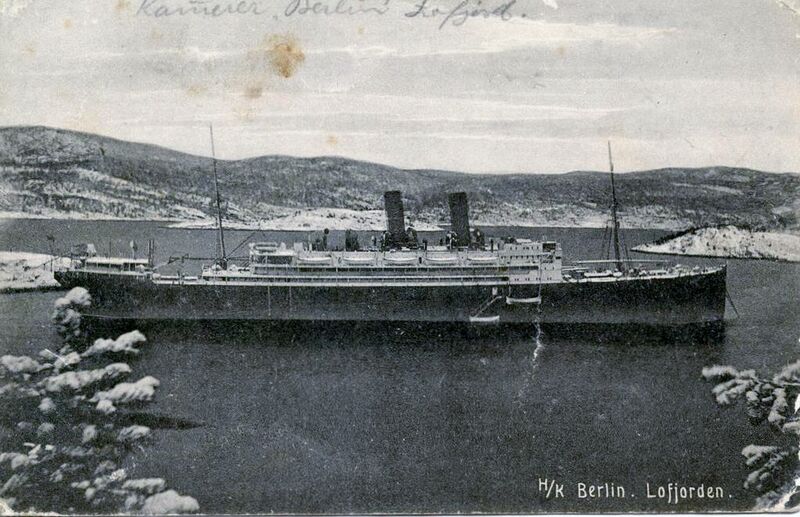 Requisitioned by the German Navy on the outbreak of war, she was to have only a short career, though obviously a successful one, as a mine-laying auxiliary cruiser. Returning to Germany she ran into heavy weather and was forced to put in to Trondheim, Norway for repairs. Unable to complete them in the time allowed by the neutrality laws, she was to be interned in Norway for the remainder of the war. She was to have a successful afterlife, for she was awarded to Britain as war reparations and was to serve the White Star Line as SS Arabic until 1931. One suspects that many who sailed on her in this peaceful guise were never aware of the fact that she had achieved more devastation, and caused more misery, than most warships ever do. Click here to read all the reviews so far, or the cover image. Registering for the Dawlish Chronicles mailing list by clicking above will keep you updated on new books and facilitates e-mail contact between Antoine Vanner and his readers for discussion of issues arising. Suggestions and constructive comment are always welcome and all emails are replied to. Free short stories, available only to those on the list, will also be made available at intervals.